Ininity is the most stylish, advanced and high-performing timber-alternative window and door range currently available in the UK market. Faithfully replicating traditional timber with all the bene ts of Composite PVC, no more painting, and great thermal performance. 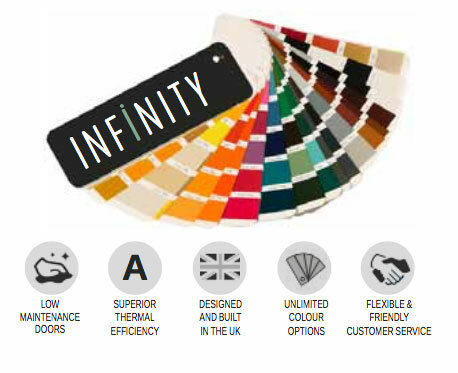 All Infinity windows are A+ rated for energy eficiency and conform to British Standard PAS24 and are Secure By Design accredited. During rigorous testing the products achieved the highest weather ratings achievable. The cutting edge manufacturing technology gives Infinity the smoothest corner joints for ultimate style and good looks. When it comes to selecting the best products to enhance and protect your home, you want to be sure you’re making the right choice. Beautiful, stylish, expertly made, our Infinity Window and Door Collection made up of uPVC Flush, Sculptured and Chamfered Sash windows and doors strike the perfect balance between energy ef ciency, security and design. Easy to maintain, energy ef cient and boasting an innovative smooth corner weld design that lets you make a distinct style statement, the Infinity Window and Door Collection is the revolutionary new choice for all homeowners that wish to install uPVC windows and doors. 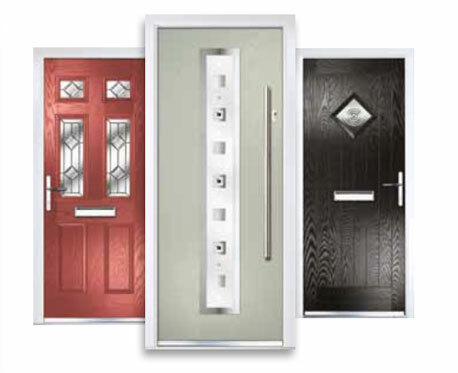 We offer our doors in a variety of glazing con gurations, so whether you are looking for high levels of light, a more secure environment or you are wanting to replicate an existing door, we should have the style you need. Enhance your door with a dash of colour or a luxurious woodgrain nish and create something truly individual. We offer the market’s largest range of colours and nishes and can even offer you the option of a different colour inside and out. There are a wide range of glass effects from which you can choose to closely match the pattern you prefer. 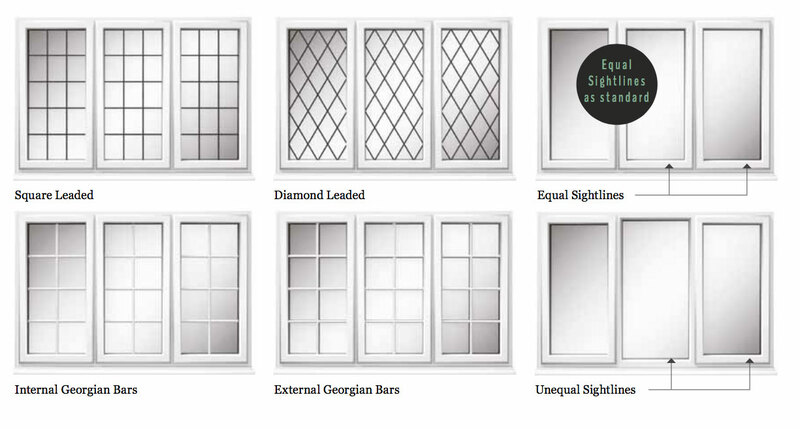 All our Infinity glass options are available toughened or laminated for your security and safety.